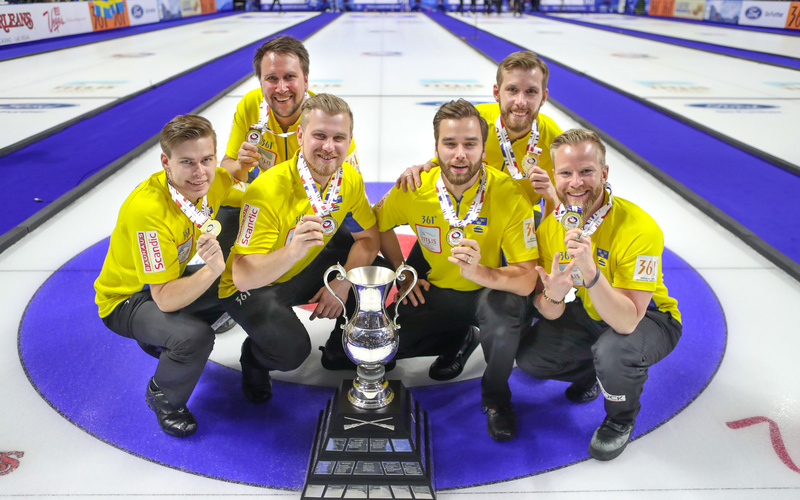 Team Edin (Photo by Richard Gray, World Curling Federation) pounds Canadians into submission en route to 7-3 win in the World Curling Championship Final. Canada Click Here for Details on World Championship TV and Streaming Coverage! Sweden Click Here for Details on World Championship TV and Streaming Coverage! United States Click Here for Details on World Championship TV and Streaming Coverage! China Click Here for Details on World Championship TV and Streaming Coverage! Germany Click Here for Details on World Championship TV and Streaming Coverage! Norway Click Here for Details on World Championship TV and Streaming Coverage! Switzerland Click Here for Details on World Championship TV and Streaming Coverage! Netherlands Click Here for Details on World Championship TV and Streaming Coverage! Scotland Click Here for Details on World Championship TV and Streaming Coverage!